Spring can come slowly after a long winter. Brighten up your spring decor with a fun new spring wreath! 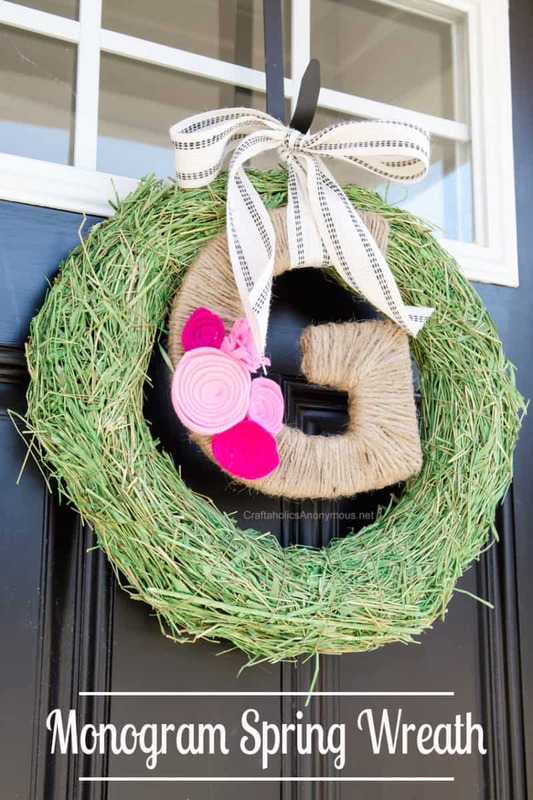 These DIY Spring wreaths have some great ideas for a front door wreath that will make a beautiful spring door decoration. You can make these all with very little money and very little time. That is my kind of project. 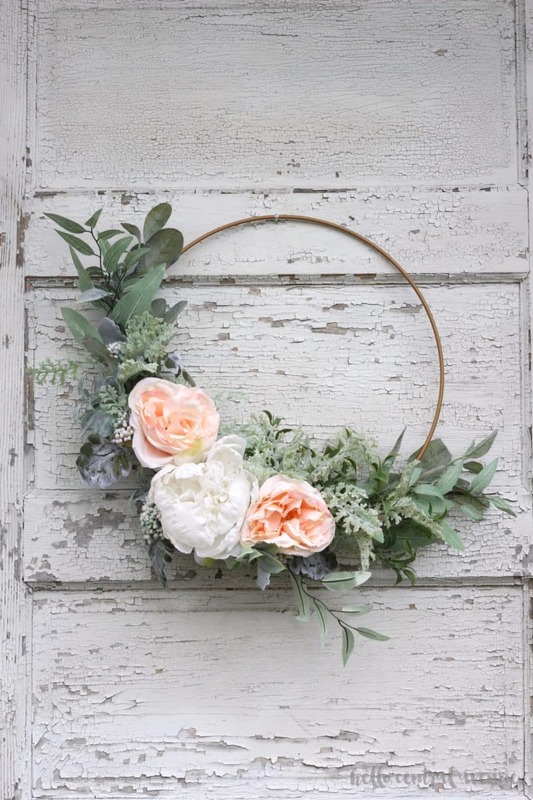 This DIY Hoop wreath is stunning and super easy to create! You can add greenery, flowers, or whatever you like to make your DIY wreath unique. 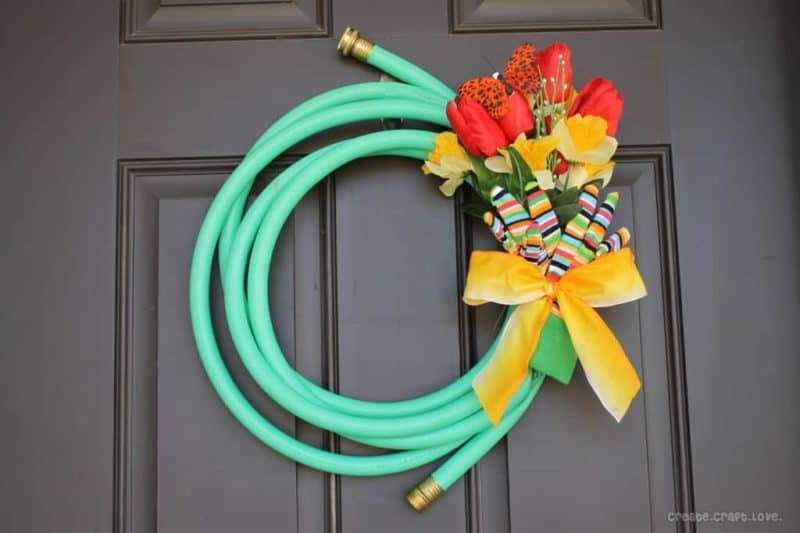 This garden hose wreath is so clever and unique. I love all the bright colors and special elements. It is the perfect way to celebrate spring! You can make your own spring monogram wreath in just five minutes. This wreath can be transformed easily in three different ways. Make an Umbrella wreath. 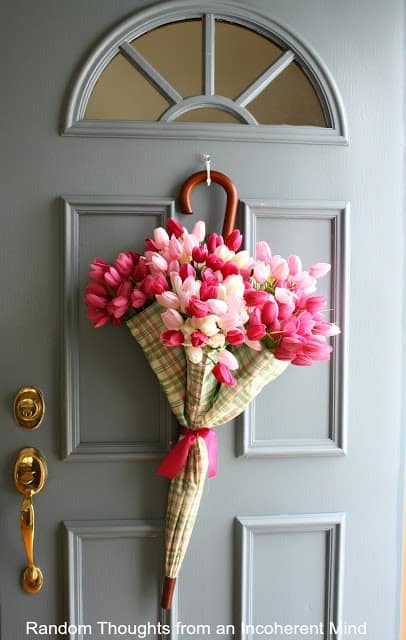 Fill an umbrella with your favorite blooms, then hang from a nail on your door for the prettiest (and easiest!) springtime display. I love a good monogram! Make a monogram wreath. Grab some silk flowers and you can make this wreath. This will make for a beautiful spring statement on your door. 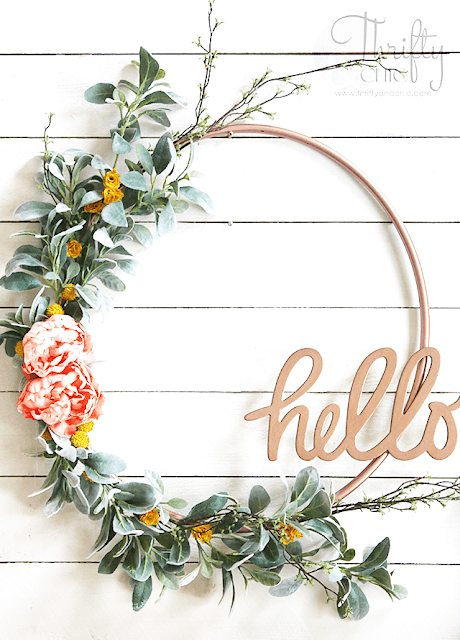 Grab some floral stems and greenery and you can make this Hello Wreath in minutes! I love the addition of the wording she used. 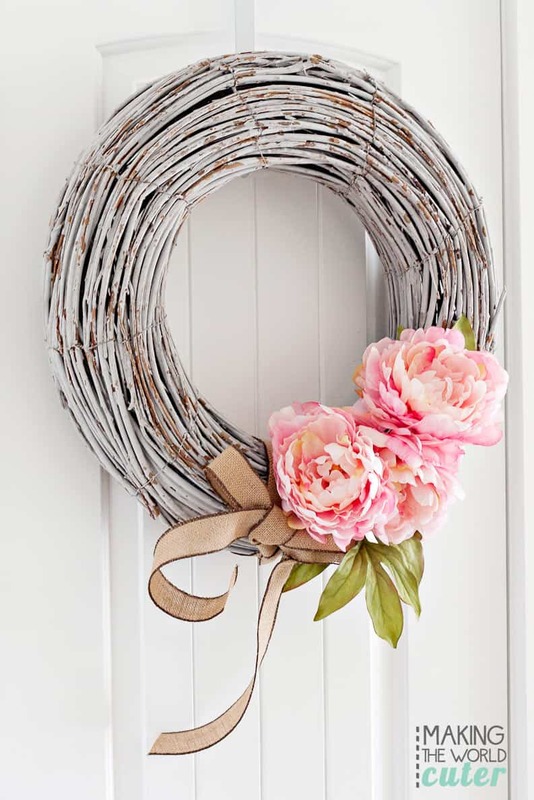 This peony wreath has several shades of pink and a grapevine wreath base. It is really simple to make. You will love how it turns out. You can also use what flowers you prefer. I happen to love her choice of peonies. 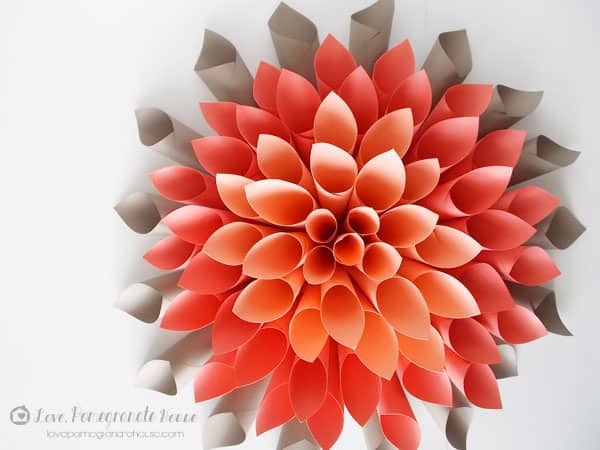 Did you know you can make a beautiful paper wreath? This is an easy DIY paper dahlia wreath is turns out quite striking on a front door. Best part you can choose the colors the best suit you. Want to make a cute wreath on a budget? 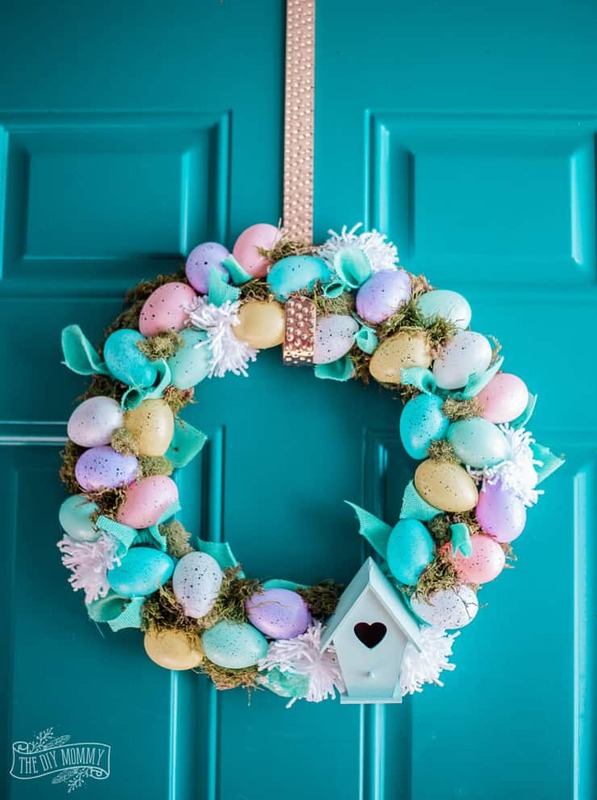 This Easter egg wreath is perfect for you! It’s colorful and sweet, but all the supplies are from the dollar store. Spring can come slowly after a long winter. Brighten up your spring decor with a fun new spring wreath! 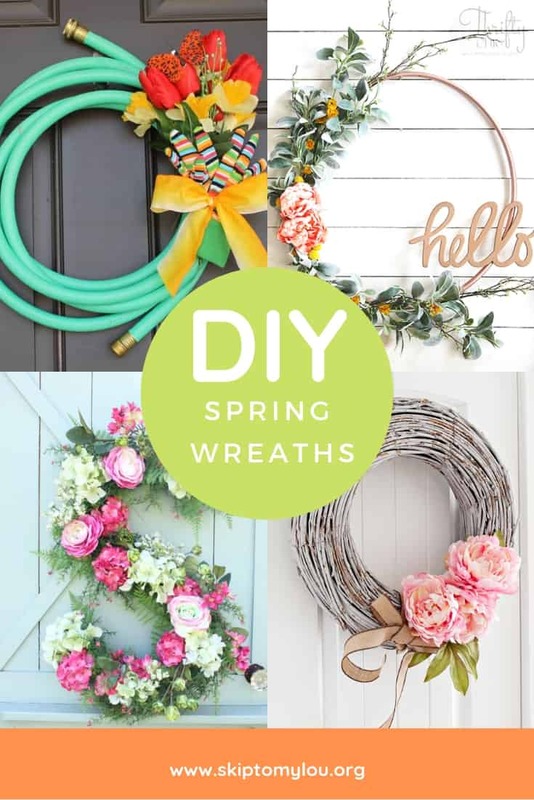 These DIY Spring wreaths have some great ideas for a front door wreath that will make a beautiful spring door decoration. Love the umbrella one! Definitely going to need to make myself one! Beautiful wreaths! 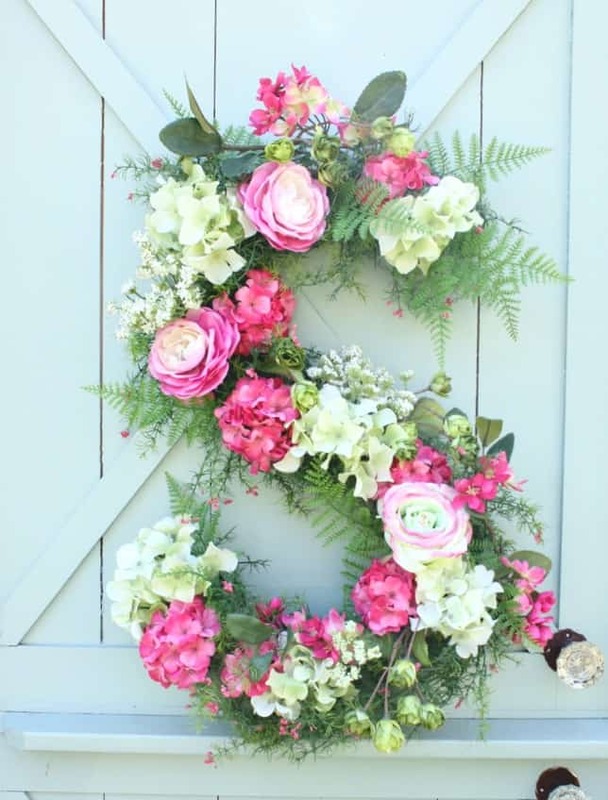 I especially love the peony wreath! So many beautiful options to choose from, love all these ideas! The hose wreath is so creative!